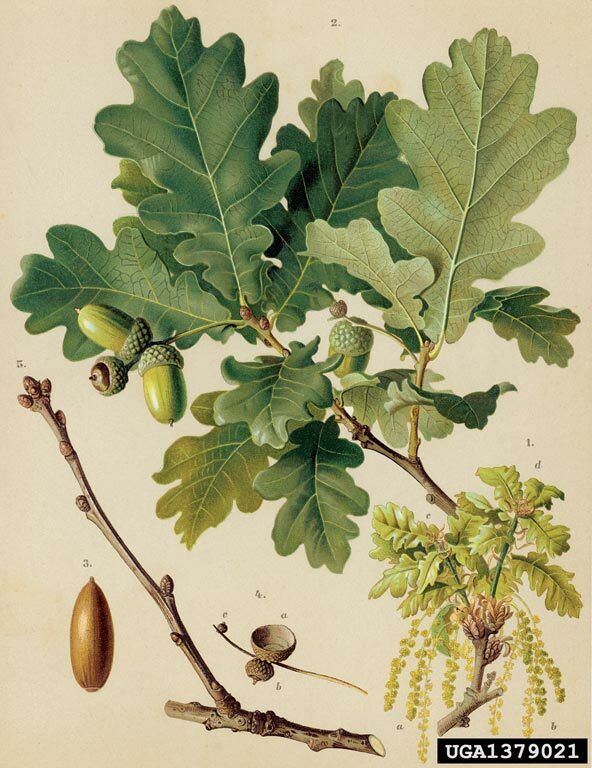 Quercus robur is a tree in white oak group. Bark deeply furrowed, blackish. Leaves alternate, small to 12 cm long, 6 cm wide with rounded lobes, widest above middle, but usually narrower than native oaks; leaf base lobed; stays green into Nov.-Dec, long after native oaks are brown or leaves fallen. Flowers monoecious, males in catkins. Frequency in NYC: Very infrequent. Rarely escaping in NYC.